The internet has a strong strange fascination with the Shrek franchise. 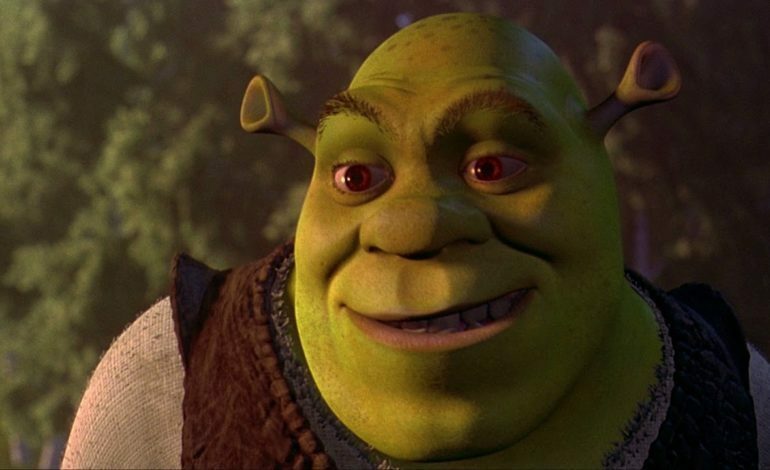 Whether it’s ironic enjoyment, genuine appreciation, or unexplained curiosity that’s causing this internet wide obsession with Shrek, one thing is clear: it probably won’t be going away any time soon. After all the Shrek fanart and remixes of “Allstar” that has been produced since the original film came out in 2001, Youtube channel 3GI, the masterminds behind Shrekfest, has at long last succeeded in creating the ultimate tribute to Shrek. Like a shooting star, 3GI has broken the mold, because the channel has managed to unite over 200 creators, animators, artists, and musicians from across the internet together to recreate the first Shrek film in its entirety. A trailer for the project can be scene found on Youtube. And the entire Shrek Retold can be found on 3GI’s official Youtube channel. The video is similar to an earlier project in which several animators on the internet collaborated to remake Chuck Jones’ The Dover Boys cartoon. Like an onion Shrek Retold has many layers. Every scene is either animated or recreated by a different contributor which leads to a very nonsensical and surreal experience. Even if it was made as a joke it still looks like a lot of effort has gone into the making of this creation. It’s clear that a lot of these creators have a great love for Shrek and respect to Dream Works. Maybe all that ironic worshiping of Shrek has evolved into actual love for the ogre.